You can have beautiful skin all over your entire body by treating yourself to a Red Light Therapy Session. Lined with 20 therapeutic red lamps, the esb Radiance 20 Bed treats your face and body and it only takes 15 luxuriously relaxing minutes. Imagine taking 15 minutes several times a week to “check out” of your hectic day to rest in a beautifully sleek bed while the red wavelengths permeate every inch of your body. And as they penetrate into your skin they ignite a whole bunch of positive reactions at a deep cellular level. 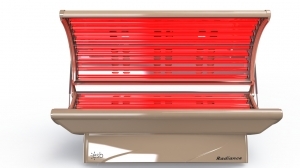 Red light therapy beds have been shown to significantly improve the skin by repairing sun damage, diminishing wrinkles and age spots, evening out skin tone, and giving your skin a youthful glow. 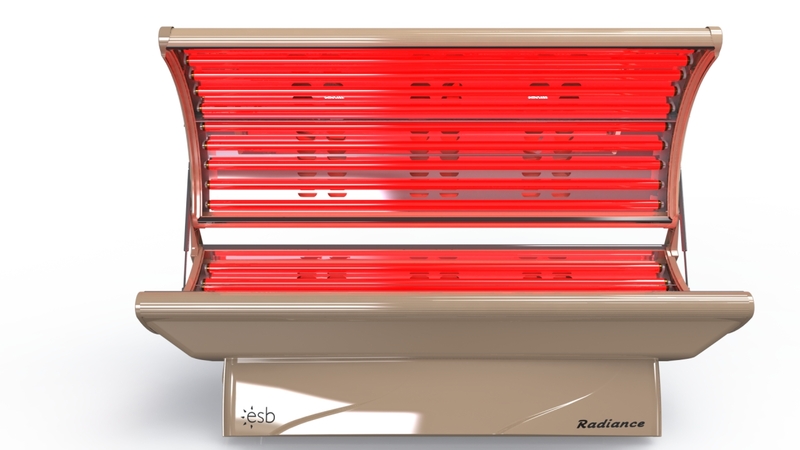 Red light therapy beds are also referred to as collagen beds because red wavelengths ranging from 625-660 nanometers and beyond are extremely beneficial to the skin sparking collagen and elastin production. Scientific Research has proven that red light therapy offers anti-aging benefits as well as helping with acne and rosacea. Collagen and elastin are the two main proteins in your skin and are responsible for giving it strength, resilience, and bounce. Exposure to UV light (sunlight and tanning beds) damages your collagen and elastin causing rough skin, lines and wrinkles, age spots, and a leathery appearance. As you age your collagen production slows down making it harder and harder to prevent wrinkles. Treating yourself to a red light therapy session will help repair damaged collagen and spark the formation of new collagen and elastin. By simply relaxing among the healing lights your skin will respond by looking more and more luminous, plump, and healthy. Book an appointment and slip into your own little world for 15 precious minutes and while coming down from a hectic day the red lights will refresh, rejuvenate, and revitalize you. It’s really a fantastic way to take time for yourself and help your skin look more beautiful in the process.